In Arizona, heat outside=boat season. Let’s get your boat ready to rock with some new tunes at Sounds Good to Me in Tempe, AZ. We are your Marine Boat Install specialists in Tempe, Arizona and the installation of marine amplifiers, components, coaxial and subwoofers. We carry a full line of marine gear in Tempe AZ; amps, speakers, woofers and their marine grade, and come in all sizes. We also have Bluetooth Alpine marine stereos that will allow you to stream your music wirelessly, or hook up your IPod or iPhone direct and play music while charging. Last but not least, you gotta read our review on the POWERALL, we have sold out of these twice and continue to take orders! This battery charger/battery jumper/iPod charger is a must for all boaters, it will actually jump 20 cars and boat in succession and charge all your electronic devices, plus after you fully charge this device it will hold a charge for up to 3 months, and has a great flash light built in, check it out! 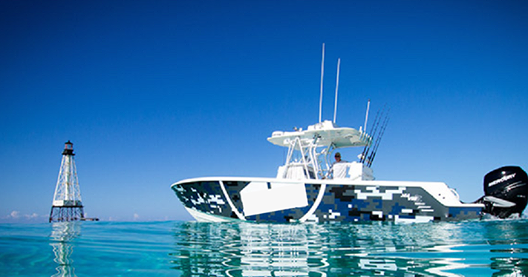 Sounds Good To Me is your place to give your boat a makeover. Do you guys install depth finders and related equipment? We do. Give us a call and tell us what equipment your wanting installed please? I have a 2007 Rinker 296 with wakeboard tower and 4 wake tower Rockford Fosgate speakers. In addition I have 6 – “in-boat” Sony Marine speakers (4 – 5″ diam. and 2 – 6.5″ diam in the bow) plus one brand new 10 Rockford Fosgate Subwoofer. Now trying to drive all these speakers (and doing it badly) is a head unit that is 10 years old and needs a sub amp. I am looking for a new head unit to drive these plus my new Rockville Proton RXMS20 sub-amp. I would like to have a new head unit that has a CD player (yes I’m still old school) plus bluetooth. And would like to be able to control volume between the in-boat speakers and the tower speakers. Finally, I’m not sure what the stereo power circuit breaker is rated at and don’t want to keep tripping that because I’ve crossed over the rated threshold of the in-dash breaker. Also assuming I may need new wiring to most of these speakers and also have a Rockville 8 gage marine audio installation kit. Would you be able to suggest and install a new head unit (and the sub-amp) – but keep all my speakers as is? The Rockford Tower speakers are in good shape and sound good when turned up loud and the Sony Marine speakers are brand new (as is the Rockford Subwoofer). However I have no sound out of the Rockford Fosgate subwoofer ? (its brand new).. Thanks for your reply in advance. Looking to get this done in the next 2 to 3 weeks if possible (before the 4th). Doug brought his Rinker 296 boat to us and it turned out excellent, according to Doug anyway. So, the first thing I did was to listen to the system and see how it was currently configured and what components were presently in the system. After listening to the system and dismantling some side panels we uncovered two Clarion Marine amps, a older 4 channel and a two channel that had rust and lost one side. Doug had a “punch list” of features he wanted and also commented how little control he had over the speakers and wanted to be able to independently control the towers, deck speakers and subwoofer, which he couldn’t now. The reason he couldn’t was because there was only one pair of RCA’s leading from the head unit to the amps, the last “installer” just took “Y” adapters and split the signal, lame. So there is no way in hell he would be able to control anything but the balance (left & right) but they were totally mixed up as well. So, what we laid out was a new head unit along with two new amps. With this setup Doug could easily fade between the tower speakers and the deck speakers and also be able to control the subwoofer from the head unit. He was really happy with how everything turned out. Oh yeah, so we “thought” the we could put the boat in the install bay but really couldn’t, so I thought it best to spend the 4 nights on the boat so it couldn’t be tampered with. It was a little “warm” but was tolerable.